In this lesson, we will finish with our group of lessons about ~더~. 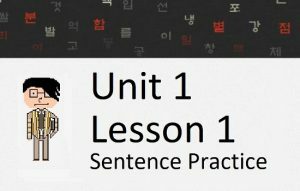 Specifically, in this lesson, you will learn how to use ~더~ in combination with ~(으)니 (Lesson 81) to connect two clauses. 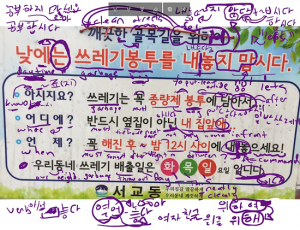 The construction ~더니 is very similar to other clause connectors like ~아/어서, ~(으)니(까) and ~기 때문에, but as always there are some specific usages you should know about. Let’s get started. This is one of the grammatical principles that foreign learners of Korean have a lot of trouble with. With good reason, too – its meaning and usage are very similar to many other grammatical principles that you have already studied. My goal for this lesson is to teach you the situations where you will be more likely to find this grammatical principle being used. You can probably already guess the meaning of ~더니 without even reading my explanations. It’s quite simply the combination of ~더~ (to experience/notice/learn/see something first hand) which you have studied since Lesson 117, plus the meaning of ~(으)니 that you studied in Lesson 81. As always, it’s hard to come up with a translation that will fit every scenario, but a good translation might be “to experience/notice/learn/see something first hand, so…”. I would like to separate my explanation of ~더니 into two usages that I have noticed. ((1) speaker) – ((2) some action that the speaker did) – ((3) past tense ~았/었) – ((4) ~더니) – ((5) some emotion or description that happens as a result of what the speaker did). I would like to talk about each number above individually to describe this “form” that I am talking about. This one doesn’t really matter. Some action that the speaker did in the past. Why use ~더니? Actually, in my opinion, it’s not even about the use of ~니. ~니 is just there to connect the two clauses really. Then what is the purpose of ~더~ here? Why not just use one of the other clause connectors that you have already learned? To answer that, you need to remember what the purpose of ~더~ is; which is to indicate that the speaker has seen/experienced something first-hand. This could really be anything that makes sense in the context of the sentence, but as you will see in the examples below; this is usually some sort of emotion or feeling (typically an adjective) that was elicited as a result of the first clause. The first thing I did was change all of the conjugations before ~더니 to a present tense conjugation. She said all of those sounded unnatural. The only thing I can guess is that the example with ~더니 just gives the listener a tiny bit more information/feel (specifically that the person experienced the action) and makes the sentence just that much more complex. That’s what I’m saying. When you want to express a sentence in the form that you see in the sentences above, I suggest that you use ~더니 over other grammatical principles. Likewise, you will be more likely to see/hear ~더니 be used in these types of situations as well. Now, what if the speaker is not the subject of the sentence? When the speaker is not the subject, and thus, talking about somebody else in a sentence that has two clauses connected by ~더니, I have noticed a different trend than what was described above. Here, maybe Seulgi’s parents or close friends could say this sentence. Regardless of who it is, it would have to be somebody close enough to her to have seen/noticed that she was looking for a job for that long of a time period, and to know that she finally got it. A good question now becomes – what if the clause before ~더니 is conjugated into the past tense? Conjugating this clause to the past tense has the same effect that was described in Lesson 118, where it was done to sentences ending in ~더라. The first sentence indicates that you saw/noticed/experienced that it was raining, and that state has continued to the present and it is still raining today. The second sentence indicates that you saw/noticed/experienced that it had rained. It had stopped raining… and now it is raining today as well. The state of the rain stopped and continued until the present… wait… what? The second sentence is incorrect. Really, those two sentences are almost identical despite their slight nuances. So what I want to say here is – sometimes the past tense of ~았/었더니 can be almost identical to the present tense of ~더니. 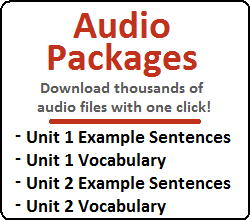 However, it is also possible that, depending on the situation, one of the sentences might be incorrect. Got all that? 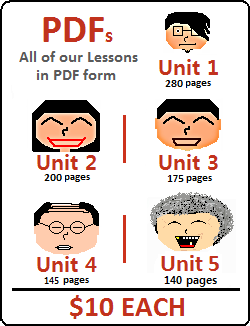 Click here to go to the next lesson.